The HealthEast Clinic and Specialty Center received the Medical Office Award of Excellence at the NAIOP award ceremony on September 27, 2018. The project was recognized for its on site development, architectural integrity, interior design, integration into the community, market feasibility, unique challenges and sustainable attributes. The new three-story clinic is the ideal resource for patients seeking an approachable and convenient space to access healthcare. 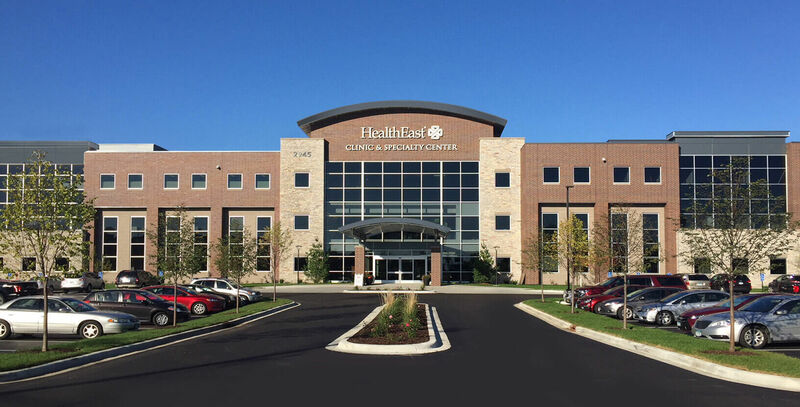 Designed to enable patients to have all their healthcare needs attended to in one place, the facility contains a primary care clinic, urgent care, pharmacy, an imaging center and an outpatient surgery center. To prevent the large facility from feeling overwhelming, the two-story lobby contains an open staircase along with a coffee bar, multiple seating options, a linear fireplace and a piano that transmits calming music to keep patients at ease. Two additional projects designed by bdh+young were also nominated for Awards of Excellence. The Allina Hastings Clinic was also nominated in the Medical Office category and The Moline was nominated in the Multi-Family Apartments category. 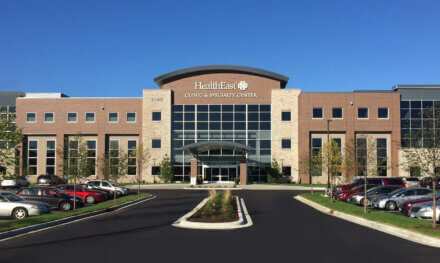 Click here to view more photos of the HealthEast Clinic and Specialty Center.